Southwire's 14/3 Romex<sup></sup> SIMpull<sup></sup> NMD90 cable is used for electrical household wiring. Features Southward's NoLube<sup></sup> SIM technology<sup></sup> which allows installation without the need for external lubricants. Featuring Freeze Flex formulation jacket which provides more pliability, easier stripping and added crack-resisance in cold weather. Southwire's Romex SIMpull NMD90 is manufactured using annealed (soft) copper conductors, nylon jacket for the individual conductors and an overall PVC jacket. Minimum recommended installation temperature is minus 25ºC for two-conductor cables and minus 10ºC for three-conductor cables (with suitable handling procedures). Should be properly stored above 0ºC for 24 hours prior to installation. The maximum allowable conductor temperature is 90ºC. Southwire's 20/2 Bell Wire helps connect call bells, buzzer systems and door chimes. Multi-conductors are suitable for furnace controls, etc. Southwire SIMpull<sup></sup> copper electrical wire for commercial and industrial electrical wiring projects. 6 AWG stranded wire with 19 strands . Used in conduit and cable trays for services, feeders, and branch circuits in commercial and industrial electrical wiring. Southwire SIMpull<sup></sup> T90 features Southwires NoLube<sup></sup> SIM technology<sup></sup> which has revolutionized the way wire is pulled into conduit It reduces installation time by an average of 30 percent in independent testing, and enables you to pull cable within allowable tension limits without applying pulling lubricant, saving you time and money. SIMpull T90 copper electrical wire pulls 50% easier, is tear resistant, reduces burn-thru and strips easier. Trex is known for innovations that make outdoor living easier. The latest example of that is the Trex Light Hub installation system. Oriented for polarity and made from high quality silver-coated copper in a direct bury sheath, this wire is perfect for outdoor use. Ditch the hassle of stripping wires, struggling with messy gel filled wire nuts and lights going out due to lost connections. The Light Hub system is as simple as plugging in a lamp. 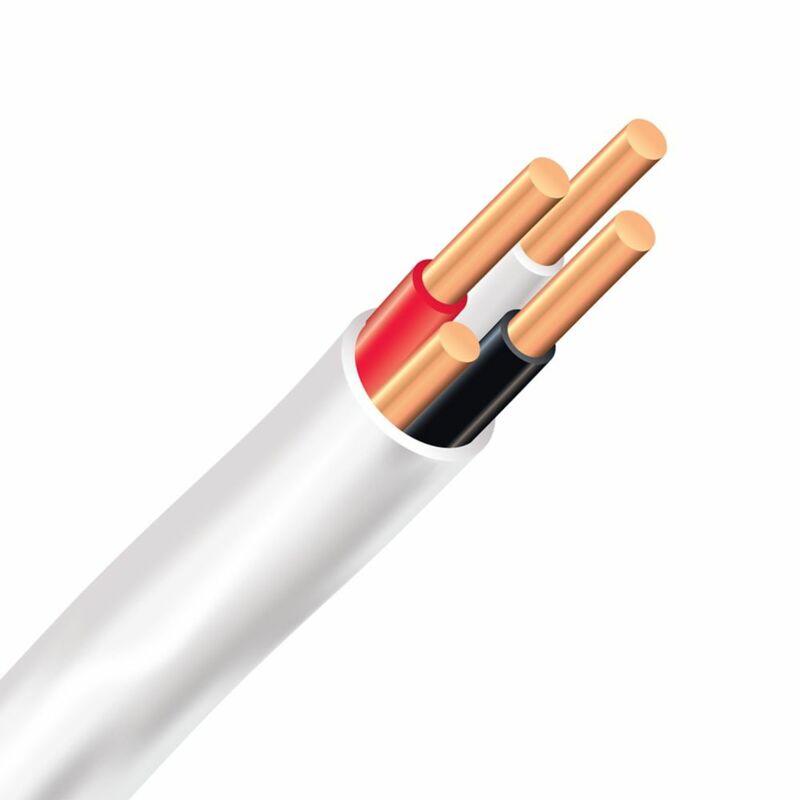 Romex SIMpull NMD90 Copper Electrical Cable - 14/3 White 5m Southwire's 14/3 Romex<sup></sup> SIMpull<sup></sup> NMD90 cable is used for electrical household wiring. Features Southward's NoLube<sup></sup> SIM technology<sup></sup> which allows installation without the need for external lubricants.